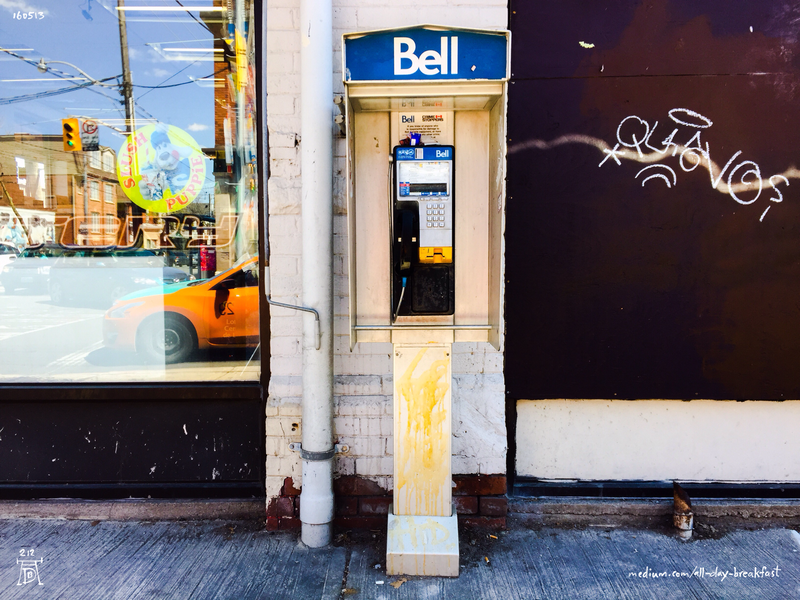 Phone booths are stoic and storied, like sentinels from a more optimistic age. This image was shot with the very device that has put them on the endangered technology list—the ubiquitous mobile phone. All-Day Breakfast is a daily reflection on creativity and the human condition in the modern age. This is issue #212 of 555.